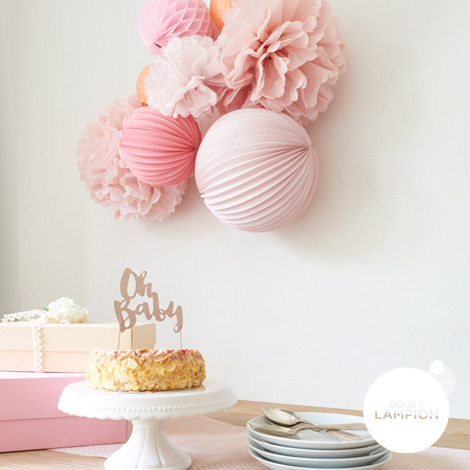 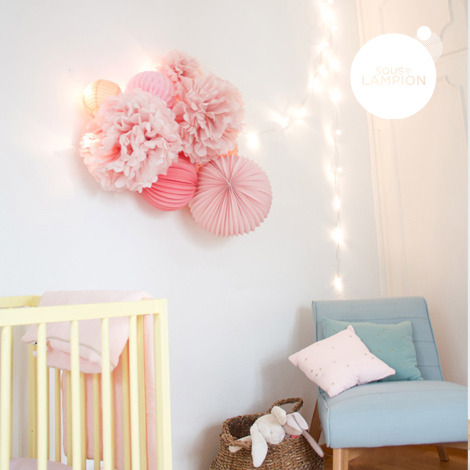 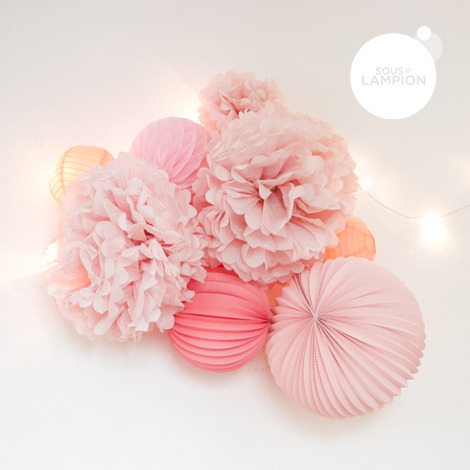 A pretty DIY paper lanterns kit in pastel shade to hang on the wall. 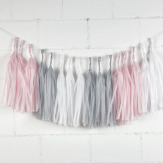 Just perfect for a powder hues birthday or a romantic bedroom. 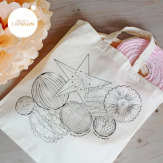 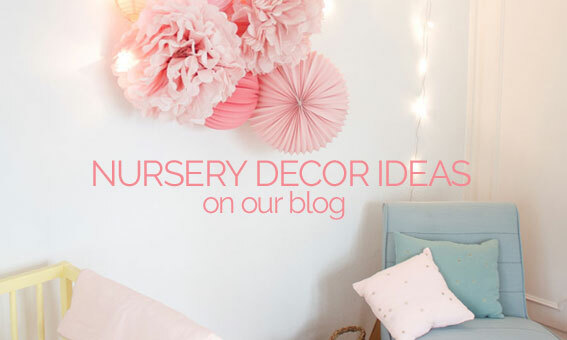 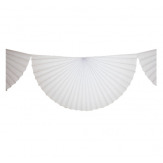 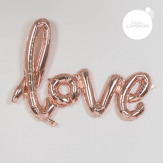 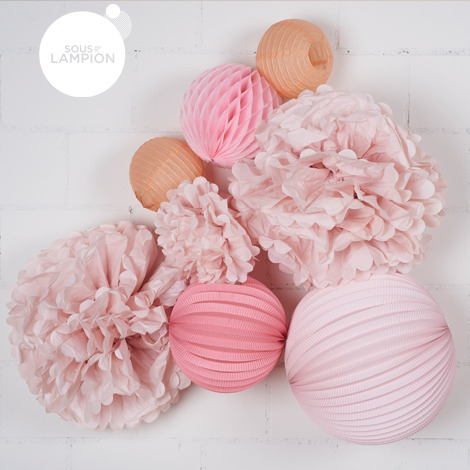 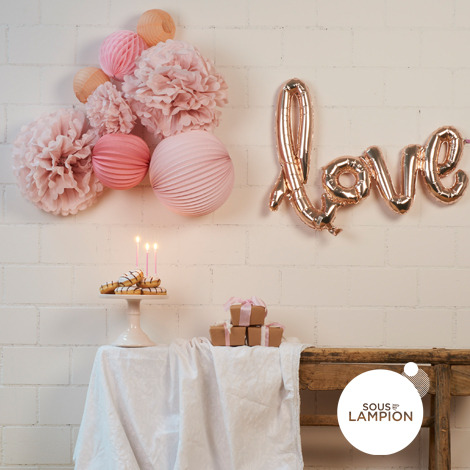 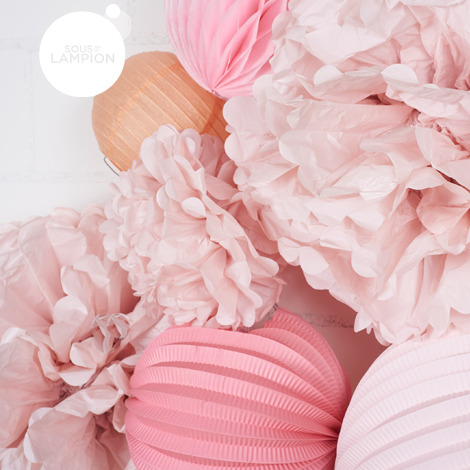 Includes: 1 accordion lantern 20cm and 1 of 30cm, 2 paper lantern 15cm, 1 pompoms 25cm and 2 of 40cm, 1 honeycomb ball 20cm, picture hook & nail, string for hanging.